Welcome to Mentor for Bank Exams. 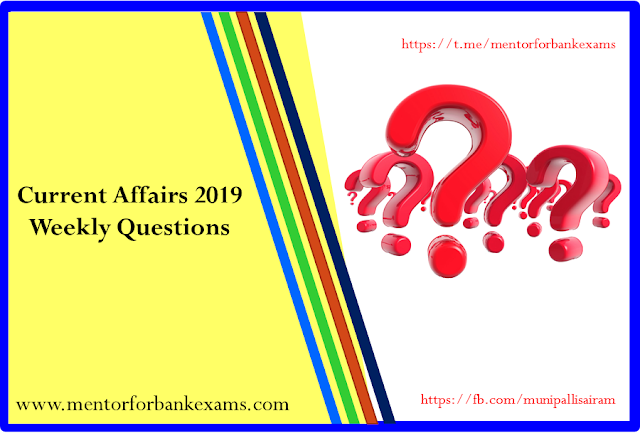 Current Affairs Weekly Questions is a complete docket of important news and events that occurred during the week of (22nd to 28th) January 2019. This file is important for all upcoming Banking & Insurance exams.